Pegasystems Inc., the software company empowering customer engagement at the world’s leading enterprises, on March 23, 2017, announced enhanced artificial intelligence (AI) capabilities in Pega Sales Automation that enable businesses to accelerate sales cycles and win more deals. Pega makes sales organizations more efficient and effective with an advanced AI engine that more accurately forecasts sales win probability and suggests the next-best actions and content that will boost those odds at every stage of the deal. Opportunity Insights that predict the probability of a deal moving to the next stage, the chances of winning an account, and the date the deal will likely close – all fueled by predictive analytics using current sales activity and historical benchmarks for similar deal types. Sales Futurecast that projects probable sales result so agents and managers can more accurately track performance against their quotas in any given time period and make the right adjustments as needed. Next-Best-Actions that use AI to recommend what sales reps and agents can do today to progress active deals – such as schedule a meeting or send additional information – as well as suggest the best approach, offers, and content to generate new leads. Pega Sales Automation leverages powerful AI capabilities from the Pega Customer Decision Hub, a centralized ‘digital brain’ that enables real-time decision and machine learning across all Pega CRM applications. With Pega Sales Automation unified with Pega Customer Service and Pega Marketing, sales reps and agents have visibility into any marketing campaigns and service cases, adding additional data to the AI engine that helps create better sales strategies for each individual customer. For example, if a home mortgage prospect also recently clicked on a bank’s marketing campaign for a cash-back credit card, Pega Sales Automation will immediately alert the sales agent and suggest a bundled offer to help close the deal. Sales reps and partner agents can even open service cases for existing customers without handing them off to another department. This ensures a continuous customer journey that drives the right action for each customer regardless of channel – leading to higher customer satisfaction, stronger brand loyalty, and increased revenues. For those making the switch to Pega Sales Automation, easy-to-use wizards enable current Salesforce and Siebel customers to migrate their data to Pega and quickly get it up and running. 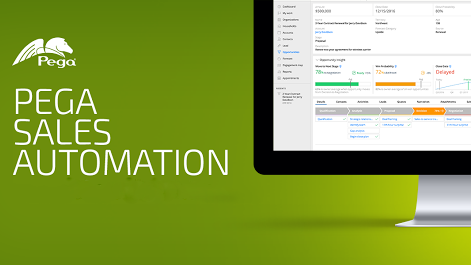 These new features are now available in the latest release of Pega Sales Automation. 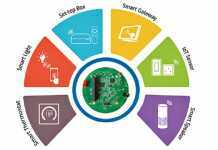 The software will be demonstrated at PegaWorld, Pega’s annual conference from June 4-7, 2017 at the MGM Grand in Las Vegas.